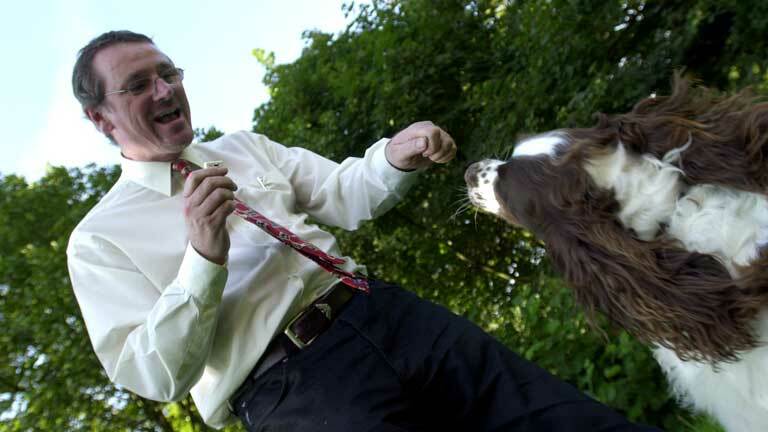 Dr David Sands is a human-companion animal practitioner at the Animal Behavioural Clinic (Chorley, Lancashire) and specialises in the treatment of behavioural problems displayed by dogs, cats, birds, horses and exotic animals. He undertakes home visits in the North of England including Lancashire, Merseyside, Greater Manchester and Yorkshire for the behavioural assessment and treatment in companion animals including aggression (behaviour that falls under The Dangerous Dogs Act) and animal ‘emotional behaviours’ such fixation and obsessive compulsive-like disorders, (stress), noise phobia and over-dependency on owners (separation-related disorders). David produces Behaviour-modification Programs and is an Expert Witness in court. He is an internationally established animal-related author and photographer, researching ‘human psychology’ and zoology. David gained his doctorate in ethology for animal behaviour research at the Faculty of Science, Liverpool University. He is a Fellow of the Canine and Feline Behaviour Association (FCFBA), a Council member of the PETbc and a member of the Association for the Study of Animal Behaviour (ASAB). David writes feature articles for Dogs Monthly. David has been featured in several UK television documentaries and programmes such as ‘Fish People’, ‘Absolutely Animals’, ‘Pet Rescue’, ‘Potty about Pets’ and BBC’s ‘999' and consulted on and appeared in ‘To The Ends Of the Earth’ (Amazon) filmed for Channel 4 and Anglia Survival and regularly contributes to UK TV and Radio news programs on related human and pet companionship subjects. His Granada TV series based on the clinic, ‘The Pet Set’, registered record audiences in Northern England. David has also co-presented (and acted as a consultant) for the 2005 Animal Planet/Channel 5 series, ‘Britain’s Worst Pet’ and a documentary ‘Suicide Bridge Dogs’ about dogs that have died leaping off a gothic bridge in Scotland, Channel 5 and subsequent television (Animal Planet Wild X Files, William Shatner’s Weird or What). Dr Sands, as a author and photographer, has scripted a number of animal information videos on small animals, dogs and cats and contributed to and written many books including: Cats and Kittens, Dogs and Puppies and, ‘To The Rescue – Dogs, ‘To The Rescue – Cats’, guides to providing a rescue or re-homed dog or cat a new life.